If planning to selling your home, some apps are now on the market to help make the process smoother. Here are six that should definitely be in your mobile device if you’re planning on selling your house. DocuSign is an app that enables you to capture the signatures and GPS location of all the parties involved when you actually close on the sale. This is a great way to have some additional evidence about the validity of the real estate transaction. 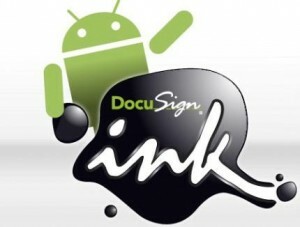 It’s available for both iOS and Windows 7 devices. 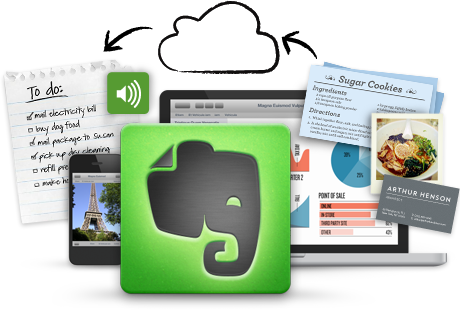 No productivity solution is complete without Evernote. 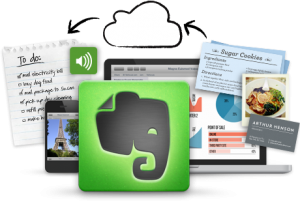 It allows you to jot down ideas, notes, and lists as they pop into your head, as long as you have your mobile device at hand. This is a great way to ensure that spur-of-the-moment thoughts are preserved and you don’t forget them later. You can get this for Windows, Android, and iOS devices. Can you properly define “quitclaim“? 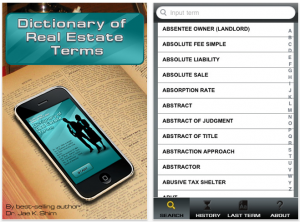 If not, then the Dictionary of Real Estate Terms app might be something you can use. 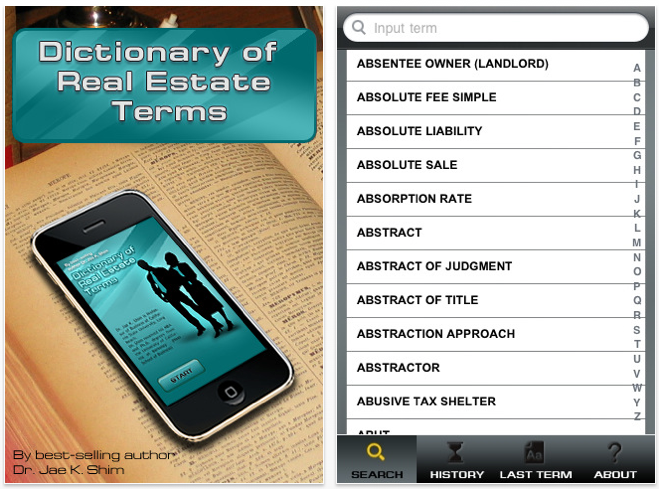 There’s a lot of legal jargon involved in a real estate sale. This app translates some of those archaic phrases and Latin terms into English. It’s available for iOS. To make your home more marketable, you might need to do some painting. 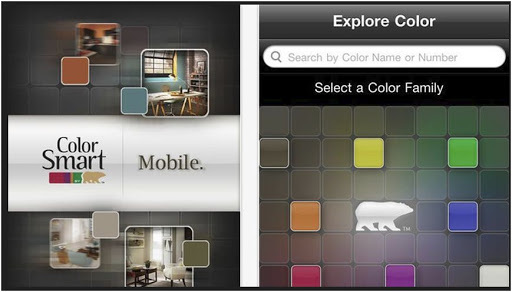 With ColorSmart, you take a picture of a room in your house and then see what that room would look like when different BEHR paints are applied to it. This one’s available for iPhone and Android. 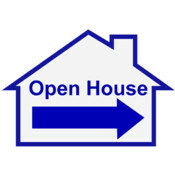 Here’s an app that’ll enable you to keep track of your open houses and follow up with prospective buyers. People who visit your home can sign in using your iPad and their contact information will be stored in the cloud. This app is only available for iOS devices. Whether you’re buying or selling a home, Zillow is a must. Using Zillow, you can be sure that you’re pricing your house competitively with other homes on the market in your area. You can also make sure that your selling price is comparable to other, similar homes, not on the market in your area. Zillow’s available for Windows, iOS, and Android. 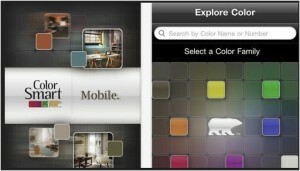 Beyond mobile apps, there are web applications that can help you sell your home. You may also be interested in buying a new home since you’ll be vacating your current premises. There are online resources to help you find new homes at a great price. Additionally, if you have children, you might find that greatschools.org is helpful resource. This site furnishes information about schools in a particular area, such as how the school ranks and what its enrollment numbers are.